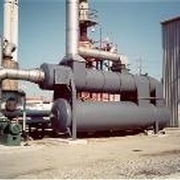 CPI QUADRANT SR-Series recuperative Thermal Oxidizer is considered among the world's most advanced recuperative thermal oxidation systems. These specially designed and proven systems combine the basic principles of time, temperature, and turbulence to the fullest extent possible. 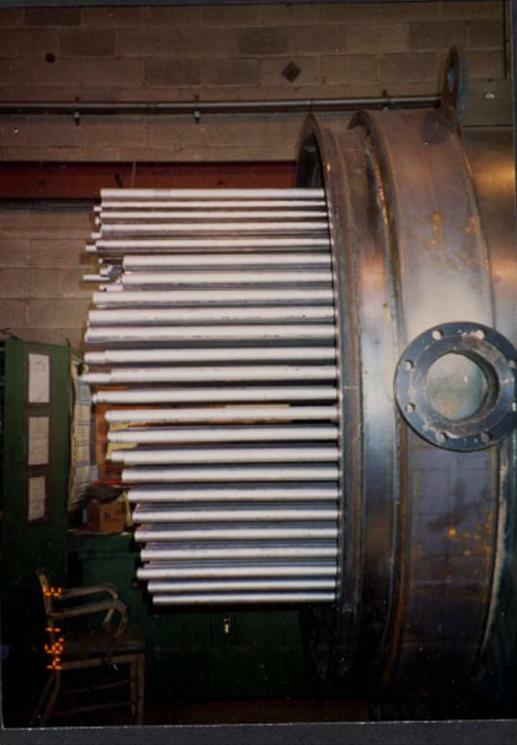 The results provide you with exceptional performance, substantially reduced operating costs, and industry-leading reliability. 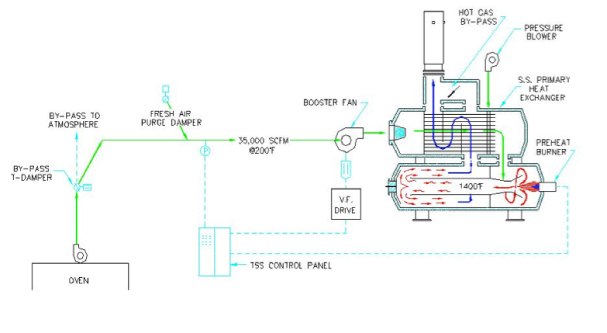 The QUADRANT Thermal Oxidation process begins with a booster fan designed to draw the volatile organic compound (VOC) laden process exhaust to the QUADRANT System. From there, the VOC-laden process air stream is then directed into the condensate evaporate section where it is preheated to eliminate any vapor droplets before entering the FLOATING TUBE primary heat exchanger. This step protects the leading edge of the heat exchanger from condensate build-up and subsequent preignition. When the stream enters the FLOATING TUBE heat exchanger, it is continuously preheated at close to the ignition temperature before being sent to the pre-heat burner. The exchange of energy in the primary heat exchanger makes up the basis for fuel savings and economical operation. 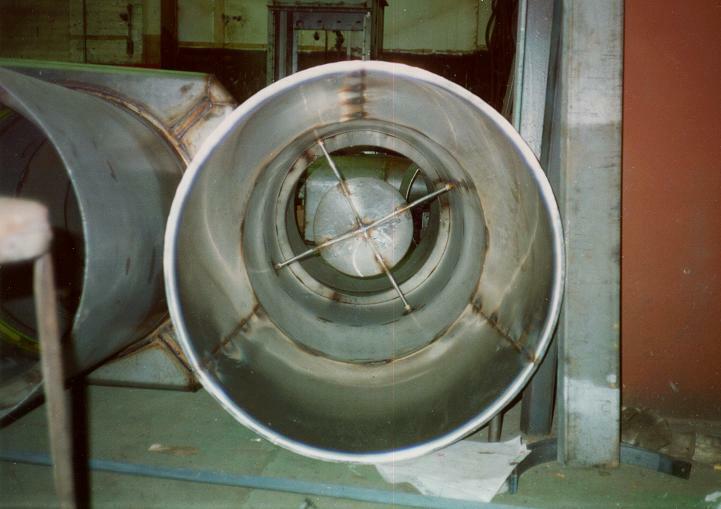 The contaminated air stream next passes through an elongated high velocity combustion chamber. Here a series strategically placed mixing baffles creates turbulence and improves mixing, helping to prevent temperature stratification. From there the air stream rebounds 180^ to assure proper mixing of all the effluent constituents. Even at low flow conditions, this mixing action provides the highest possible temperature uniformity for industry leading destruction ability at the lowest operational cost. Once mixed the air stream is held in the dwell chamber long enough to ensure complete combustion of the VOC's. 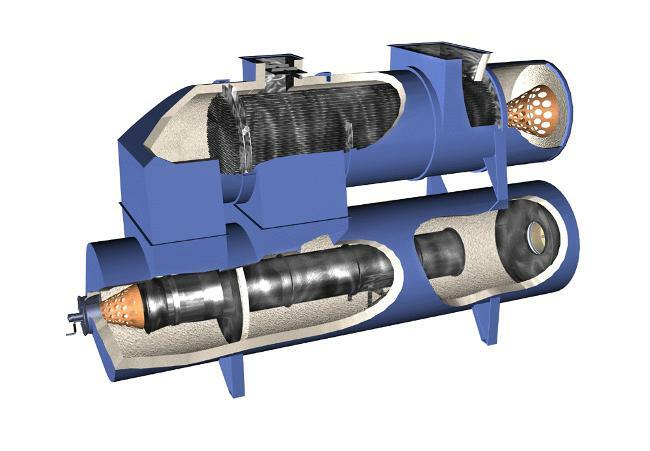 From there the clean stream passes over the FLOATING TUBE primary heat exchanger prior to being discharged to the atmosphere or to auxiliary heating systems such as; secondary air to air recovery, air to water recovery, air to oil recovery, or directly back to the process in a closed loop direct recirculation process. Your process is now in compliance with all clean air regulations !! All QUADRANT SR-systems incorporate a proven round design which protects against stress and fatigue commonly found in other systems that utilize an antiquated "square box" design. 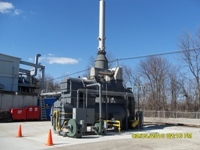 Damaging thermal-mechanical stresses inherent in every thermal oxidizer are eliminated with the QUADRANT SR-Thermal Oxidizer and its round design.The modular design removes the heat exchanger from the combustion chamber to allow each component the ability to individually control growth. The modular design is key to long equipment life and the highest uptime reliability. 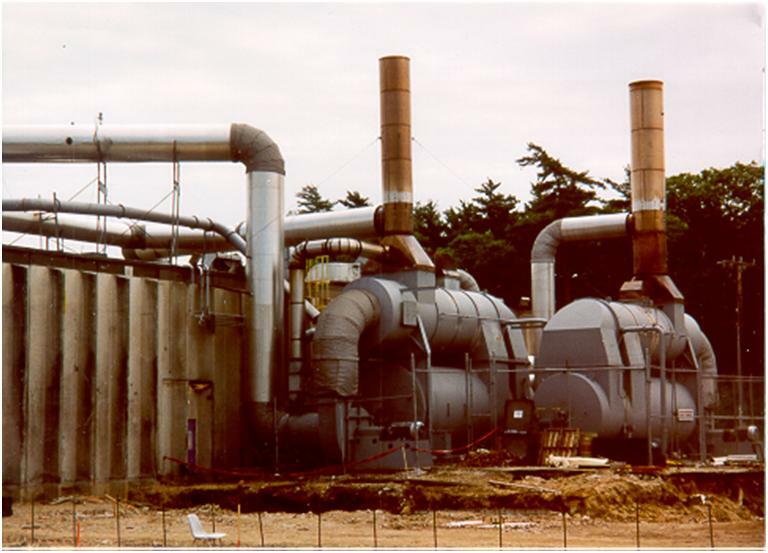 All QUADRANT SR-Thermal Oxidizers incorporate a specialized internal insulation system designed to retain heat for low cost and cool shell temperatures. 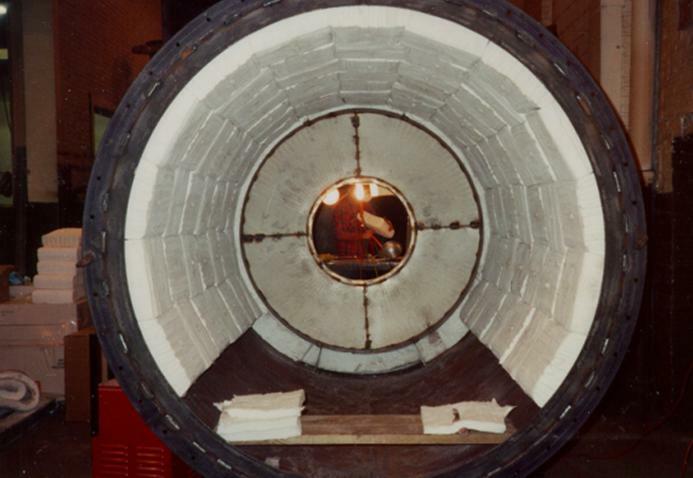 The internal insulation works in conjunction with the round design to eliminate shell growth for industry leading uptime reliability and low maintenance. The advancement of internal insulation is just one of the continued enhancements that we have introduced, all in an effort to provide longer lasting equipment with lower overall operating costs. One of the most unique features found in any QUADRANT system is the center combustion tube coupled with the preheat burner. This paring of components has paved the way for QUADRANT systems to operate at the lowest temperatures while providing the highest VOC destruction. Faced with today's compliance requirements the old design strategies of time and temperature are not enough. Only the QUADRANT system, by maximizing turbulent mixing, flame impingement, and temperature uniformity can assure users of low cost - ultra high destruction. 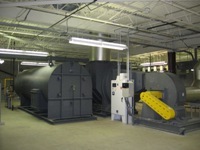 The preheat burner in every QUADRANT system is selected based on the exact needs of your application. Whether your application calls for nozzle mixing due to low oxygen, raw gas for energy savings, low NOx for compliance needs, or multi-blend fuel types, QUADRANT systems provide flexibility for any project.